No errors or warnings appear. If errors do appear do not continue with next test case until resolved or confirmed from vendor that issue can be ignored. 2.1 – Log into Cisco UCS Manager on SiteA using admin account. 2.2 – Select the Equipment tab, expand Equipment -> Chassis -> Chassis1 -> Servers. Right-click on each server and select shutdown server. 2.3 – Log into vCenter using desktop client or web client. Select Host -> Inventory -> Hosts & clusters. Verify that all SiteA hosts are shutdown. 2.4 – Select Production data center and expand each of the clusters. Select each ESX host that has SiteB in the name, select the Summary tab and verify the host resources for Memory and CPU. This is to check that in the event of a DR there are resources available on both sites to handle a failure of the other site. As per VMware best practice a stretch cluster should have it’s HA admission control set to 50%. 2.5 – Select each SiteB ESXi host, click on Virtual Machines tab and verify that no VMs are offline. At this point you will see a huge number of alerts about disks being missing/offline. There will also be an alert to show that the partner mailbox is offline and failover cannot take place. [SiteB:raid.mirror.snapResExpanded:notice]: Aggregate Snapshot copy reserve in SyncMirror aggregate 'aggr0' is increased from 5% to 10% while the mirror is degraded or resyncing. Aggregate Snapshot copy reserve will be reverted to the old value when resync is complete. [SiteB:raid.mirror.snapResExpanded:notice]: Aggregate Snapshot copy reserve in SyncMirror aggregate 'aggr1' is increased from 5% to 23% while the mirror is degraded or resyncing. Aggregate Snapshot copy reserve will be reverted to the old value when resync is complete. [SiteB:ha.takeoverImpDegraded:warning]: Takeover of the partner node is impossible due to lack of connectivity to the partner mailbox disks. [SiteB:monitor.globalStatus.critical:CRITICAL]: Controller failover of SiteA is not possible: partner mailbox disks not accessible or invalid. 3.9 – On the BusBar (Power Management connection) for rack cabinet of NetApp in SiteA turn to off for both buses. 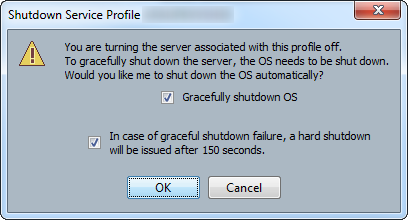 This will shutdown the entire rack to simulate a failover. All disk shelves, storage controller, MDS switches and ATTO bridges will shutdown immediately. VIA Interconnect is down (link 0 down, link 1 down). The DR partner site might be dead. To take it over, power it down or isolate it as described in the Data Protection Guide, and then use cf forcetakeover -d.
Clients of the partner controller may experience data loss because of disaster. Prior to issuing this command, the partner controller should be powered off. while this controller is running in takeover mode, your filesystems may be destroyed. 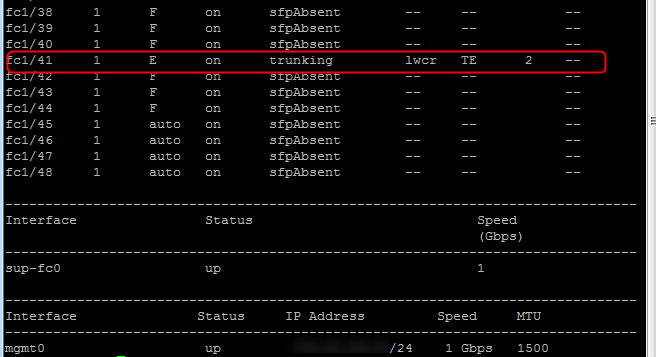 [SiteB:cf.fsm.takeover.disaster:info]: Failover monitor: takeover attempted after 'cf forcetakeover -d' command. [SiteB:fmmb.lock.disk.remove:info]: Disk ?.? removed from partner mailbox set. [SiteB:fmmb.current.lock.disk:info]: Disk SiteB_MDS2:DiskNumber is a partner HA mailbox disk. [SiteB:fmmb.current.lock.disk:info]: Disk SiteB_MDS1:DiskNumber is a partner HA mailbox disk. [SiteB:fmmb.instStat.change:info]: normal mailbox instance on partner side. [SiteB:cf.partner.nvram.state:info]: Partner mailbox was stale. Partner NVRAM might not be synchronized and some data may be lost. [SiteB:coredump.host.spare.none:info]: No sparecore disk was found for host 1. [SiteA:raid.vol.mirror.degraded:error]: Aggregate partner:aggr0 is mirrored and one plex has failed. It is no longer protected by mirroring. [SiteA:raid.vol.mirror.degraded:error]: Aggregate partner:aggr1 is mirrored and one plex has failed. It is no longer protected by mirroring. [SiteB:raid.vol.reparity.issue:warning]: Aggregate partner:aggr1_sas has invalid NVRAM contents. [SiteB:raid.vol.reparity.issue:warning]: Aggregate partner:aggr0 has invalid NVRAM contents. [SiteA:wafl.aggr.btiddb.build:info]: Buftreeid database for aggregate 'aggr0' UUID 'eb0560d3-2a9c-11e3-adc0-123478563412' was built in 0 msec, after scanning 0 inodes and restarting -1 times with a final result of starting. [SiteA:wafl.aggr.btiddb.build:info]: Buftreeid database for aggregate 'aggr0' UUID 'eb0560d3-2a9c-11e3-adc0-123478563412' was built in 43 msec, after scanning 12 inodes and restarting 13 times with a final result of success. [SiteA:wafl.aggr.btiddb.build:info]: Buftreeid database for aggregate 'aggr1' UUID '8e41d051-2b61-11e3-8457-123478563412' was built in 0 msec, after scanning 0 inodes and restarting -1 times with a final result of starting. [SiteB:raid.config.check.failedPlex:error]: Plex partner:/aggr1/plex0 has failed. [SiteB:raid.config.check.failedPlex:error]: Plex local:/aggr1/plex0 has failed. [SiteB:raid.config.check.failedPlex:error]: Plex local:/aggr0/plex2 has failed. [SiteB:raid.config.check.failedPlex:error]: Plex partner:/aggr0/plex0 has failed. [SiteA:wafl.aggr.btiddb.build:info]: Buftreeid database for aggregate 'aggr1_sas' UUID '8e41d051-2b61-11e3-8457-123478563412' was built in 524 msec, after scanning 195 inodes and restarting 24 times with a final result of success. [SiteA:raid.mirror.snapResExpanded:notice]: Aggregate Snapshot copy reserve in SyncMirror aggregate 'partner:aggr1' is increased from 5% to 30% while the mirror is degraded or resyncing. Aggregate Snapshot copy reserve will be reverted to the old value when resync is complete. [SiteA:export.update.fsid:info]: Updating the old FSID: 1249426690 with new FSID: 1249426690. Start time: 2329006904. [SiteA:wafl.aggr.btiddb.build:info]: Buftreeid database for aggregate 'aggr1' UUID 'cc806a24-c46b-11e4-a27a-123478563412' was built in 0 msec, after scanning 0 inodes and restarting -1 times with a final result of starting. [SiteA:wafl.aggr.btiddb.build:info]: Buftreeid database for aggregate 'aggr1' UUID 'cc806a24-c46b-11e4-a27a-123478563412' was built in 198 msec, after scanning 195 inodes and restarting 18 times with a final result of success. [SiteA:raid.mirror.snapResReverted:notice]: Aggregate Snapshot copy reserve in SyncMirror aggregate 'partner:aggr1' was reverted from 30% back to 5%. [SiteA:export.update.fsid:info]: Updating the old FSID: 1341325062 with new FSID: 1341325062. Start time: 2329016861. [SiteA:wafl.aggr.btiddb.build:info]: Buftreeid database for aggregate 'aggr0' UUID 'd27a9508-c46b-11e4-a27a-123478563412' was built in 0 msec, after scanning 0 inodes and restarting -1 times with a final result of starting. [SiteA:wafl.aggr.btiddb.build:info]: Buftreeid database for aggregate 'aggr0' UUID 'd27a9508-c46b-11e4-a27a-123478563412' was built in 26 msec, after scanning 12 inodes and restarting 14 times with a final result of success. [SiteA:vdisk.onlineComplete:info]: Partner LUN(s) online completed. [SiteA:httpd.config.mime.missing:warning]: /etc/httpd.mimetypes.sample file is missing. [SiteA:httpd.config.mime.missing:warning]: /etc/httpd.mimetypes file is missing. [SiteA:cifs.startup.partner.succeeded:info]: CIFS: CIFS partner server is running. [SiteB:cf.fm.takeoverDuration:info]: Failover monitor: takeover duration time is 30 seconds. [SiteA:nbt.nbns.registrationComplete:info]: NBT: All CIFS name registrations have completed for the partner server. [SiteB:sis.changelog.full:warning]: SIS change logging metafile for volume partner:pkvoranfs02 is full. [SiteA:cifs.ldap.address.invalid:info]: Could not read the saved AD Lightweight Directory Access Protocol(LDAP) server information. The system will get the AD information by doing AD discovery. [SiteA:auth.ldap.trace.LDAPConnection.statusMsg:info]: AUTH: TraceLDAPServer- Found 4 AD LDAP server addresses using DNS site query (domain). [SiteA:auth.ldap.trace.LDAPConnection.statusMsg:info]: AUTH: TraceLDAPServer- Found 21 AD LDAP server addresses using generic DNS query. [SiteA:auth.ldap.trace.LDAPConnection.statusMsg:info]: AUTH: TraceLDAPServer- AD LDAP server address discovery for DOMAIN complete. 21 unique addresses found. [SiteB:raid.config.check.failedPlex:error]: Plex local:/aggr1_sas/plex0 has failed. [SiteB:raid.vol.unprotected.remotesyncmirror:error]: Aggregate local:aggr1 is mirrored and one plex is not online. The volume will not be available if a takeover occurs and the online plex is not accessible to the partner node. [SiteB:raid.vol.unprotected.remotesyncmirror:error]: Aggregate local:aggr0 is mirrored and one plex is not online. The volume will not be available if a takeover occurs and the online plex is not accessible to the partner node. This entry was posted in MetroCluster, Netapp and tagged 7-Mode, DR Failover Test, MetroCluster, MetroCluster DR, NetApp, NetApp MetroCluster. Bookmark the permalink.